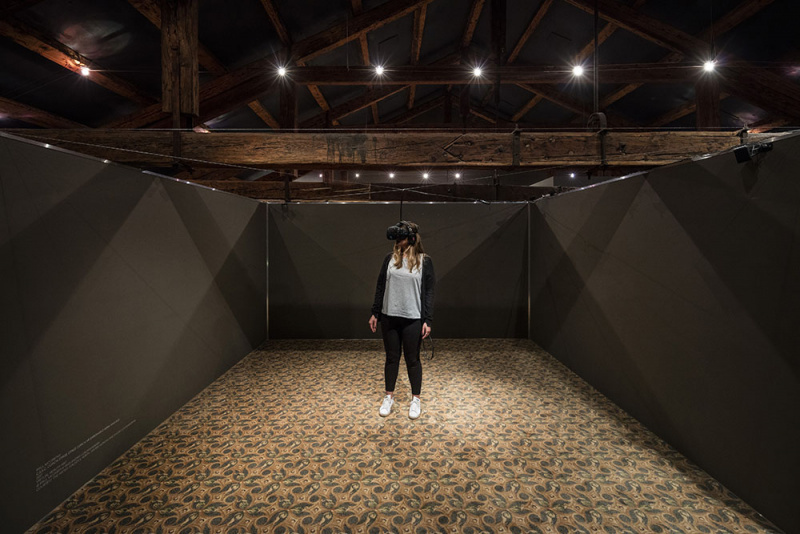 In this year’s Venice Biennale, artists Christian Lemmerz and Paul McCarthy bring us to an all new visual journey with virtual reality experience. Christian Lemmerz’s La Apparizione, produced earlier this year, aims to disrupt stereotypes of religious imagery, engaging the viewer in a discomforting, close-up experience with a burning corpse of Jesus Christ, which ‘rains’ embers. Jesus and other religious personages have figured in the artist’s work before, and ‘Bodybuilder’ Jesus first appeared in Lemmerz’s oeuvre in 2013 in sculpture form. Here, he comes alive in death, his rippling muscles writh- ing in agony, dripping golden blood into the physical space of the viewer. 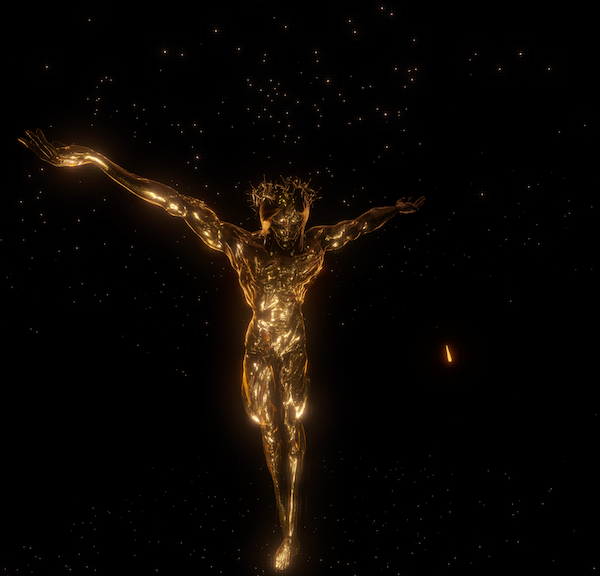 The aim of this VR work is to enhance the relationship the viewer forms with the imagery; its beauty, excess, death and pain. 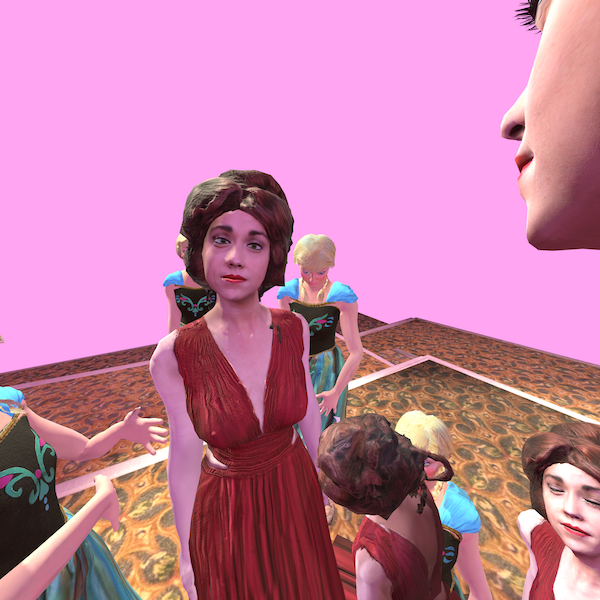 Christian Lemmerz, La Apparizione, 2017, virtual reality work. Copyright Christian Lemmerz and Khora Contemporary, courtesy the artist and Khora Contemporary.